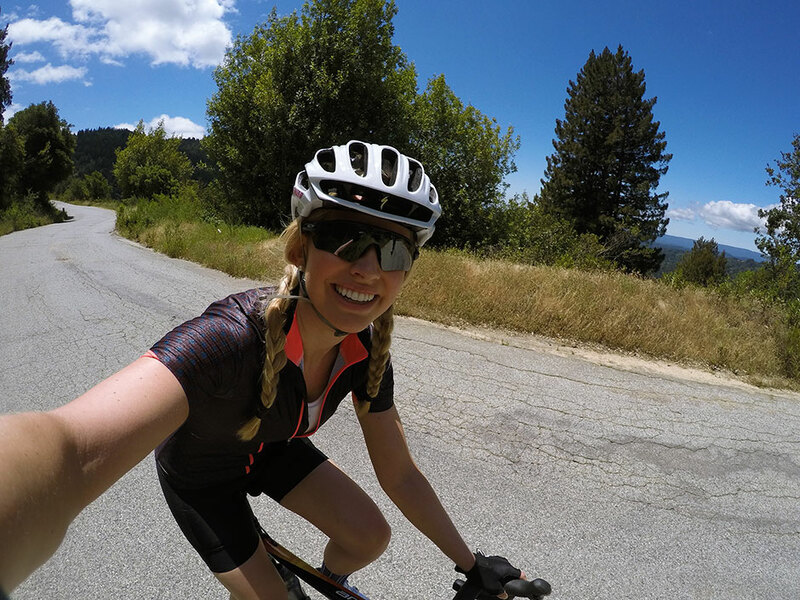 Last week I went on my first long ride in the Santa Cruz mountains. 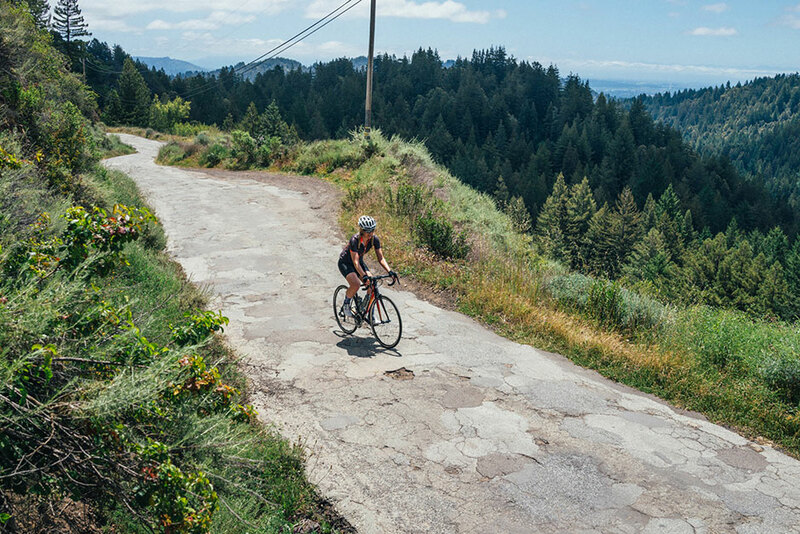 If you’re a cyclist looking for cool routes in California, the Santa Cruz mountains are a MUST! In case you’re not familiar with the area – Santa Cruz is a little beach town about an hour down the coast from San Francisco. While it’s mostly famous for its amazing surf, Santa Cruz has an incredible coastal mountain range that slopes down to the coast. 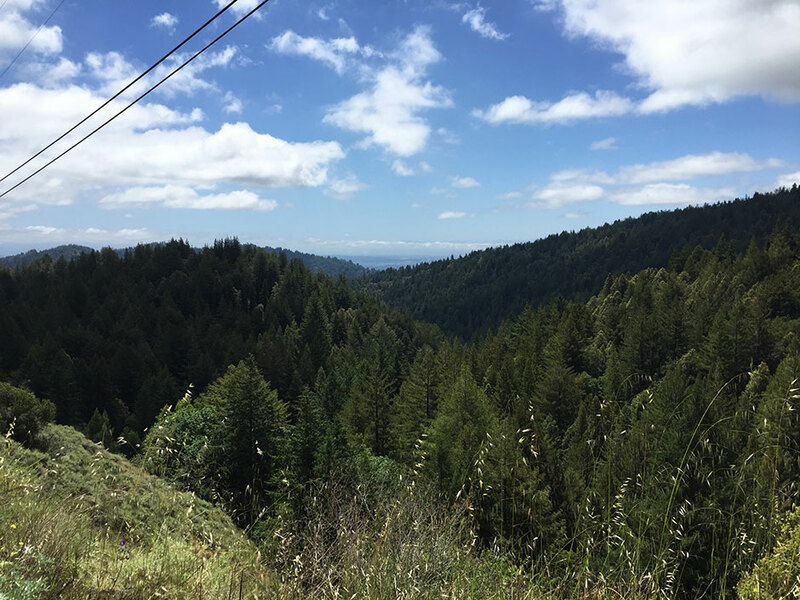 There are killer climbs and the redwood forests keep most of the roads shaded. My ride started in the town of Capitola and went up Eureka Canyon (an area also famous for it’s mountain biking trails). It covered 44 miles and took about 3 hours. Here is the Strava log in case you want the details! 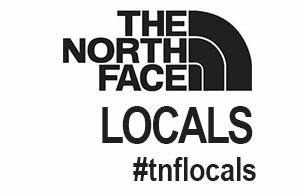 I’ve recently put some focus into making gear upgrades as I’m riding more these days. I finally got a pair of REAL road cycling shoes. (I’d been using a pair of mtn bike shoes). And I’m wearing my favorite new Machines for Freedom kit in these photos! On long climbs like this it’s important to remember to keep eating! I felt my energy waning a little bit and then was reminded to break out my snack. (I love Probar BOLT on climbs!! It’s easy to eat and tastes like candy). 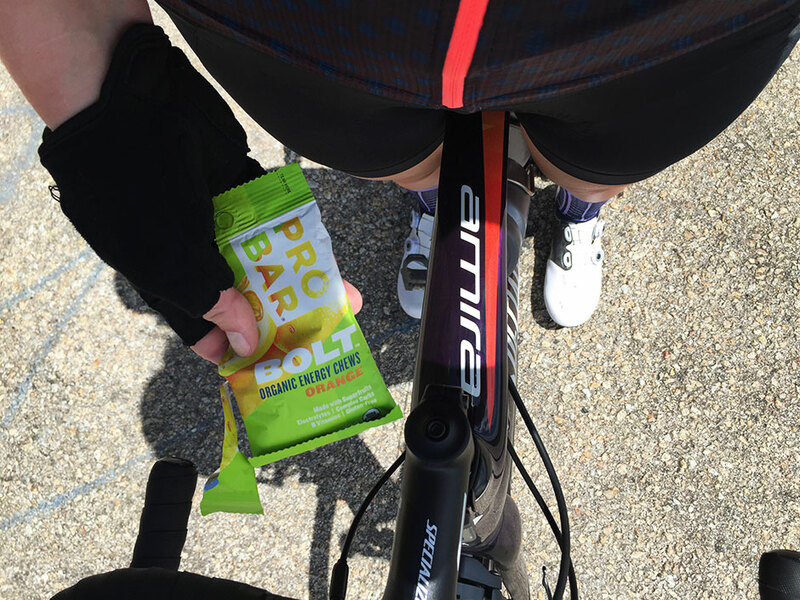 It’s amazing how quickly you can feel your muscles firing again after eating on the bike! The views are a lot more exciting at the top if you’re still feeling stoked and properly nourished!